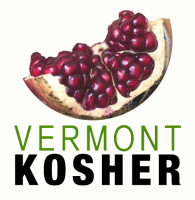 Kosher is about knowing what's in your food. Organizing an office luncheon or a party? We deliver locally, for a fee! Minimum order for ten, $16.50 per person. Roasted vegetables, Portobello mushrooms, tofu, just ask! Special note: Unique requirements/food intolerances are no problem. Just let us know; we are always happy to assist. Yes, each order consists of items from each category! Grain and Bean Salads: (Choose one, serves eight.) All include seasonal vegetables and fantastic spices. We are always happy to work with you and special considerations for smaller orders are available upon request. Food intolerances? Vegetarian options needed? No problem, just let us know!